Whether a philatelic or a design enthusiast; there is something for everyone in this captivating collection. 45p - Meeting Place - painting inspired by the Isle of Man. 77p - Blind Owl Late Landing - artwork for the Blind Owl album, to be released. 95p - Pathways - cover artwork for the Yes triple album Yessongs. £1.24 - Green Parrot Island - from Yes - The Studio Albums 1969-1987 box set. 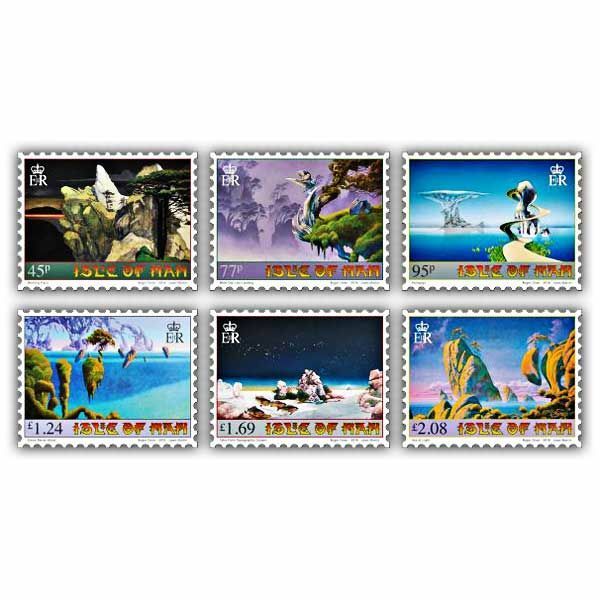 £1.69 - Tales From Topographic Oceans - Yes album cover. £2.08 - Sea of Light - from the Uriah Heep album of the same name. Really good service, well packaged. 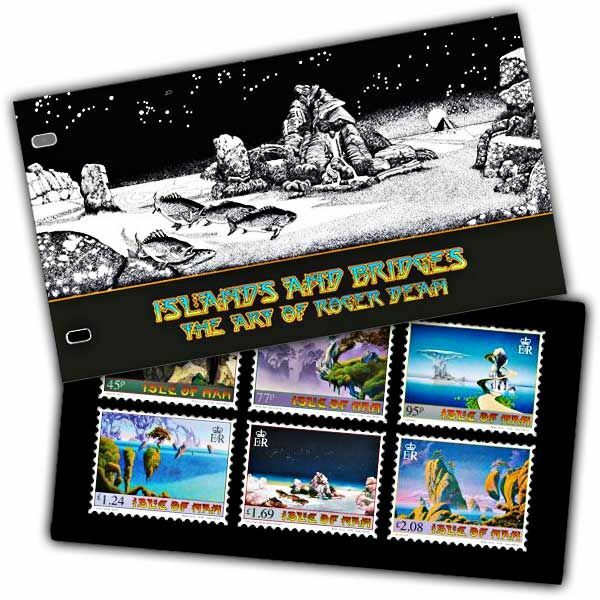 No hesitation in recommending Island Stamps and Coins.